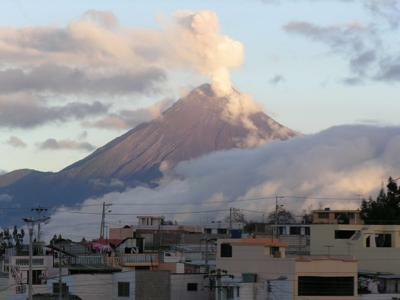 The Tungurahua volcano, located near Banos, Ecuador has been erupting over the past weekend. The volcano has been relatively active throughout the past years. For months though the volcano had been relatively calm. The activity increased over the weekend as lava and ash spewed into the air. Residents of the area have evacuated although authorities have downgraded the alerts from red to orange. Join in and write your own page! It's easy to do. How? Simply click here to return to Ecuador News.